Money is frequently the biggest issue for startups. You have to spend money to make money, but there isn’t much to begin with. Don’t despair with a little bit of common sense and a bootstrapping mindset, you can stretch your hard earned dollar a long way. Here are five tips to get you started. 1. Take advantage of the SaaS wars. Software as a service is a multibillion dollar industry with new companies trying to get a piece of the pie every month. In order to gain market share, some companies provide free plans which could easily compete with competitors’ paid versions. For example, Bitrix24 offers a free CRM that’s better than 95% of paid CRMs. Asana (of ex-Facebook fame) is a terrific project management service that’s free for any company with 20 employees or fewer. Wave Accounting has an extremely generous free plan that can save you thousands. Any business tool you can think of (invoicing, conference calling, benefit management, time sheets) is offered for free by some SaaS that’s backed up by millions in venture financing with aggressive growth strategy. Hint – follow KillerStartups’ Twitter account and you’ll be the first to know when a new one is launched. I am sure you know can you save a lot of money by outsourcing work to people with lower wage expectations and that crowdsourcing lets you choose among dozens of qualified workers. However, to get your black belt in crowdsourcing, stay away from do-it-all crowdsourcing sites (eLance, Freelance.com, Guru.com, etc.) and learn about niche crowdsourcing sites. The difference is this: at an unspecialized site, you have to explain the task in tedious detail to the hired hand, at a specialist site, you may find that you’ve working with someone who understands the task better than you do. Need a domain name for your project? You’ll get hundreds of suggestions for unregistered domains at PickyDomains.com, it costs $50 and you pay only if you decide to use one of the suggestions. 99Designs.com is widely regarded as the best place for logos, where the ready-made versions cost only $99. Need to shoot a commercial for a local TV advertisement? That’s what PopTent.com is for. As with SaaS, there are dozens of amazing niche crowdsourcing sites for virtually every aspect of your business, from cold calling to legal services. All you have to do is dig a little deeper and ask around. 3. Start accepting ‘exotic’ digital currencies. You accept credit cards, PayPal and bank transfers, thinking that’s plenty enough. WRONG! First of all, almost every country has a digital currency that’s in wide use. For example, WebMoney in Eastern Europe is more popular than PayPal. MoneyBookers (now known as Skrill) is extremely popular in India. It’s hard to sell things in China without accepting AliPay or TenPay. Offering key regional digital currencies immediately increases your appeal in local markets. Second, some global digital currencies, like BitCoin, for example, form a large community around them. Once a few people from that community start buying from your startup, the news spreads like a wild fire. Joining one of many online barter networks also helps. If you are a tech startup, hiring a PR firm with enough expertise and weight to get you published in tech publications well set you back at least $5000 a month. Needless to say, the results aren’t guaranteed. You’d be better off (at least in the beginning) investing $100 a month in upgrading your LinkedIn account, so you can send InMails. Essentially, InMail option lets you send messages to any LinkedIn member, even the ones you aren’t connected to. LinkedIn makes contacting editors-in-chief or journalists very easy. Also, you are charged only for InMails that were actually read by the recipient. Here’s a tip – don’t ever use LinkedIn to send press-releases. Use it to ask questions, pitch ideas or inquire about guest posting opportunities. If you want a journalist to take a look at your press-release, ask him or her first. Something like, “We are publishing a report about how offering a freemium option increases sales based on our own statistics. There are quite a few interesting numbers in the report. Can I send you a press-release for that?” usually works. There are numerous online communities for the frugal-minded. Reddit has r/frugal and r/freebies. AppSumo works like a Groupon for business tools and services. RetailMeNot can get you coupons for office supplies. There are sites and apps devoted solely to listing stores that are going out of business in a certain radius. 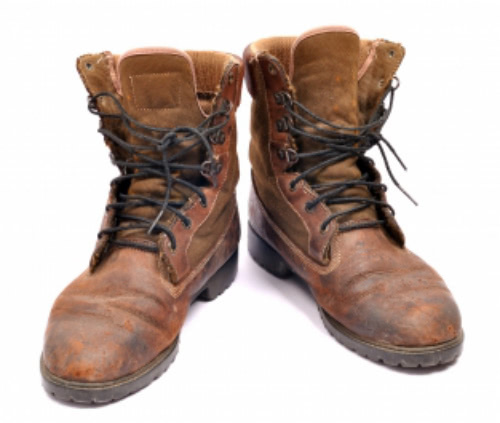 Bootstrapping is a state of mind. Join other like-minded individuals and share your finds, tips, techniques and experiences. Dmitry Valyanov is CEO of Bitrix24 – world’s fastest growing social intranet for small businesses. Launched less than a year ago, Bitrix24 is already used by over 50,000 small businesses worldwide. Bitrix24 is also 100% free to startups.